Hello my lovely readers! Today I want to blog about the items that I heavily rely on every day and can’t imagine leaving my house without them – portable chargers! If you’ve been following me you know that I absolutely love charging my phone on the go! I think it’s a must-have gadget for any social media freak like me who’s using their phone 24/7, as we all know the battery in our iPhones are not as good as Steve Job’s colleagues promised us it would be. So when Retouch Power got in touch with me to promote their funky looking portable chargers I happily agreed. What I love about Retouch Power lipstick and blush chargers is that these little beauties kill two birds with one stone – they provide your phone with a lot of extra juice and look so glamorous at the same time! 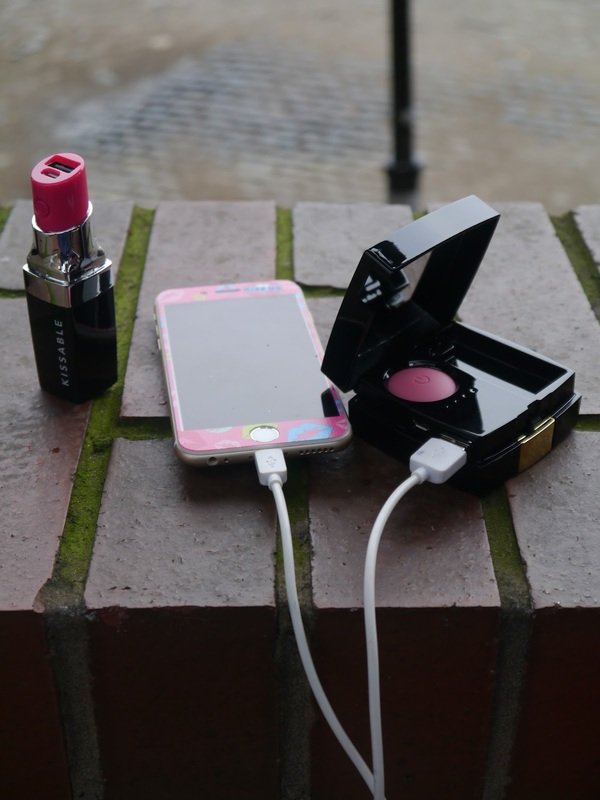 The Retouch lipstick and blush chargers contain 2600mAh and 4200 mAh batteries respectively which are powerful enough to provide a full 100% charge for any mobile phone ( and even a tablet in case of the Blush charger). It’s not only stylish and sleek but also small and lightweight so you can slip it into your handbag or clutch on any night out. With these gadgets I don’t have to worry about my battery running out when I’m at the important fashion event! Hello there it would be nice if we follow each other and support each other. Let me know when you do and I'll return. Hello my lovely! I do follow you already!